The following links are provided as a general information source for the use of visitors to this web site. Neither Elaine Aron, her publishers or her associates have formally evaluated the information provided via these sites. Inclusion of these links DOES NOT constitute an endorsement of any organization. The links provided are maintained by their respective organizations or individuals wishing to be of help to HSPs in their country and they are solely responsible for their content. These are experts you may find particularly helpful. Some are not licensed therapists, but they have considerable knowledge about HSPs due to their education and experience. Jadzia Jagiellowicz, BEd, PhD (Psych), a former educator of the gifted, went to the State University of New York-Stony Brook to study high sensitivity under the supervision of Elaine and Art Aron, where she earned her doctorate and has since then devoted herself to researching this subject. She provides research-based workshops, seminars, and courses, as well as consultations for HSPs, parents, and teachers (not as a therapist, but based on her academic research). She is based in Cambridge, Ontario, Canada but will travel and offers web-based and phone consultations. 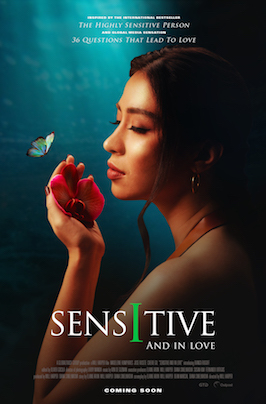 Janine Ramsey is the founder of Sensitivity Style, a new model supported by scientific research that’s designed to help people with differing levels of sensitivity live and work together more respectfully and successfully. 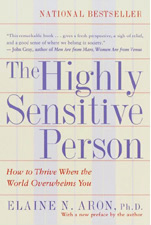 Read Highly Sensitive People in the Workplace – from shame to fame. Jacquelyn Strickland is a licensed counselor in Colorado who offers phone consultations and teleclasses as well as conducting HSP Gatherings. For her many offerings, see her website. Ted Zeff has a website based on his work, which began with The Highly Sensitive Person’s Survival Guide. It is full of information for HSPs on coping strategies. He has a book about raising sensitive boys, which is also helpful for sensitive men and a healing program for HSPs on CD or download, plus offering personal consultations. A 2013 lecture by Elaine Aron, in Wellington, New Zealand, on the highly sensitive person.